13 When they arrived, they went upstairs to the room where they were staying. Those present were Peter, John, James and Andrew; Philip and Thomas, Bartholomew and Matthew; James son of Alphaeus and Simon the Zealot, and Judas son of James. 14 They all joined together constantly in prayer, along with the women and Mary the mother of Jesus, and with his brothers. 11 Then Peter came to himself and said, “Now I know without a doubt that the Lord has sent his angel and rescued me from Herod’s clutches and from everything the Jewish people were hoping would happen.” 12 When this had dawned on him, he went to the house of Mary the mother of John, also called Mark, where many people had gathered and were praying. My last post was on individual prayer and praying in private. I wanted this post to focus on community (or corporate) prayer. Community prayer is just as important as individual prayer. In these three scriptures we find the early believers joining together constantly in prayer, devoting themselves to prayer, and gathering to pray. When believers join together in prayer, miracles happen. When believers join together in prayer, healing happens. When believers join together in prayer, communities are transformed. Repentance – We can not expect God to answer our prayers if we are carrying around unrepented sin in our hearts. When we come together in prayer, we need to make sure that each one of us is asking God to forgive us for any sin that we are harboring in our hearts. Humility – We need to come together with humble hearts. If we come together wanting to be the center of attention, showing off our flowery prayers for all to admire, God will not answer our prayers. We can not expect God to honor our requests if we do not have humble hearts. Love – We need to cultivate love in our hearts for each other and those around us. We need to allow the love of God to bring us together, so our prayers are prayers of love and compassion. We can not expect God to answer our prayers if they do not come from a place of love. In a time when we see more pain and chaos in the world around us than ever before, we need to come together to pray for our communities and the world as a whole. God calls us, as believers, to seek His face together. 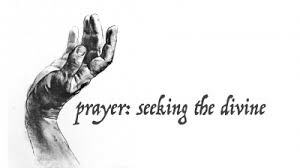 Challenge: Find a church or body of believers and join together on a regular basis in prayer for each other and for issues that we are facing as a nation. Find a body of believers who join together on a regular basis to pray for the world. We need to be on our knees in prayer now more than ever. Prayer is what brings us together as believers. Prayer is what brings us to the heart of God. Prayer is the only thing that can transform hearts and communities. When we pray, God performs miracles.